Description: Covered Access Internal Walkways & Extension of Existing Drainage System Works. 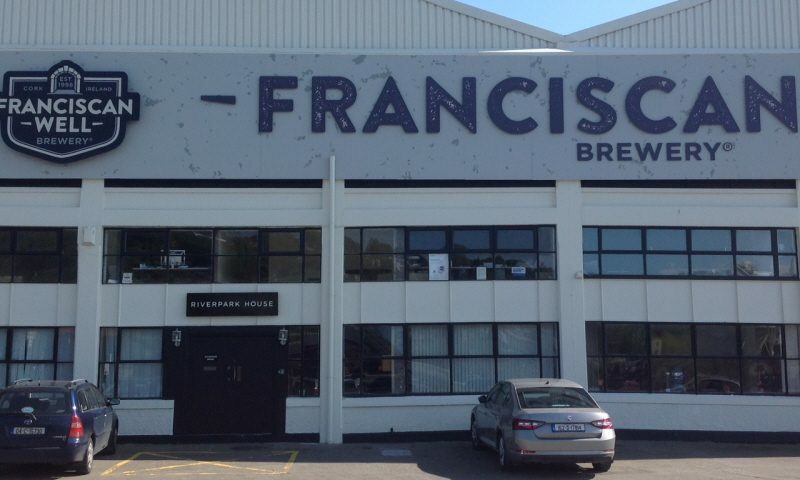 Location: Franciscan Well Docklands Brewing Plant Marina Commercial Park Cork. Architect / Engineer: Brian O Kennedy & Associates Ltd Consulting Engineers. Completed 31/03/2017 – The project consisted of a new covered access internal walkways within the main brewing plant. Included was the extension of the existing drainage works system. Electrical works redirected to carry the new plant layout. New industrial flooring installed.The contract duration recorded at three months (Jan – Mar’17) from set out stage. Description: Commercial Building – create internal opening to adjoining building. Location: 4A Washington Street, Cork. Architect/Engineer: Mr Bernard Fitzpatrick – Bernard Fitzpatrick & Associates. 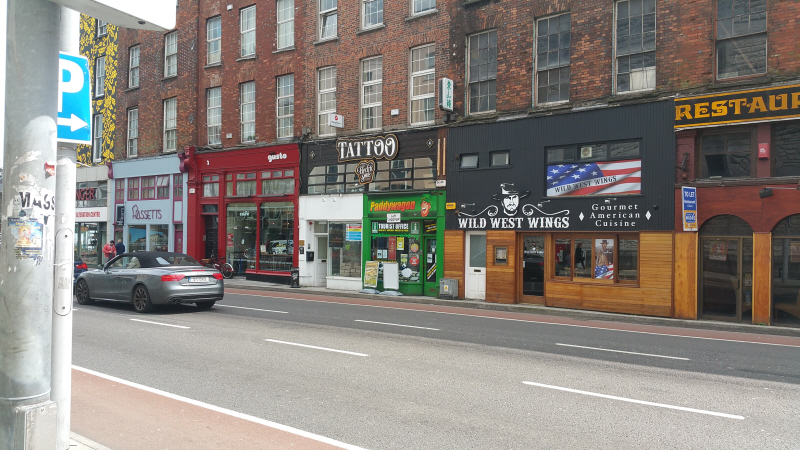 Completed: 20/05/2016 – The Paddy Wagon Tours premises on Washington Street, Cork, site consisted of a new internal opening to the adjoining building in order to create extra space for the clients ever expanding retail sector of their business. The works required the propping and securing of the overhead structure, whilst taking down the dividing wall. The stanchion arrangement consisted of a two span beam acting as a beam support to the blockwork wall and floor overhead to include a column support at the centre. A peg board panel finish was applied throughout. Description: Aldi (Ireland) Mallow Branch. Location: Ballydaheen, Mallow, Co. Cork. 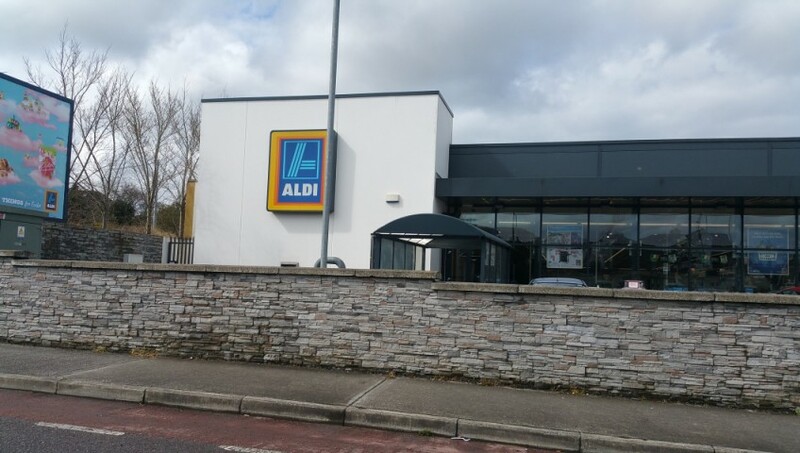 Completed – 16/07/2012 – completed this boundary concrete wall and stone cladding for Aldi (Irl) retail chain in Mallow, Co. Cork. Description: Paw Paws Veterinary Clinc. Location: Unit 4 Penrose Warf Cork. 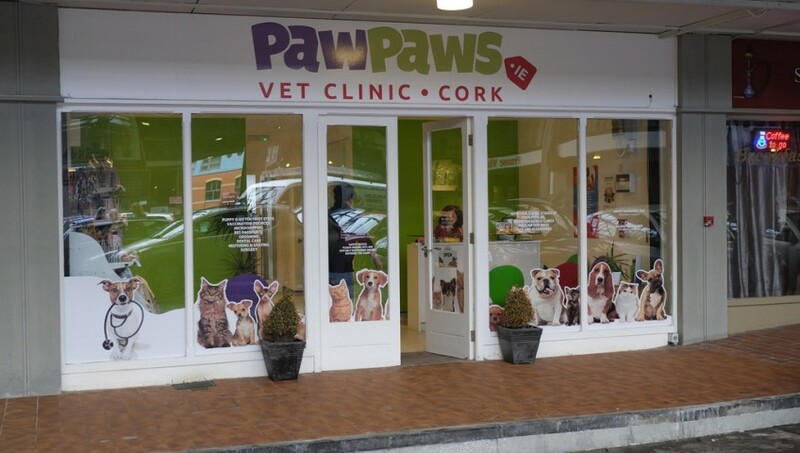 Completed – 29/05/2014 – The Paw Paws Vet Clinc project consisted of a high end design to include all major elements of a practice to set this clinc apart. Project management was the key factor on this site with David Doyle overseeing and managing the works. David worked closely with the clients to ensure every detail was carried out to perfection by our workforce. In the veterinary design of the unit LEAD Architectural Design kept the back of the clinic more sterile, which saved money in building and in upkeep. Every effort was put into the front structure and colour schedules. The treatment area is the core of the clinic, where the main nurses station is located and staffed. All other departments of this specialty practice – internal medicine, radiography etc. are accessible from this space. While comfortable, the treatment area and most back of clinic functions at Paw Paws were built with efficiency of time, money and resources in mind. Description: New Access Main Entrance & Parking. Location: North Pres Primary School – Gerald Griffith Street Cork. Architect/Engineer: MMOS – Murphy Matson & O Sullivan Consulting Engineers. 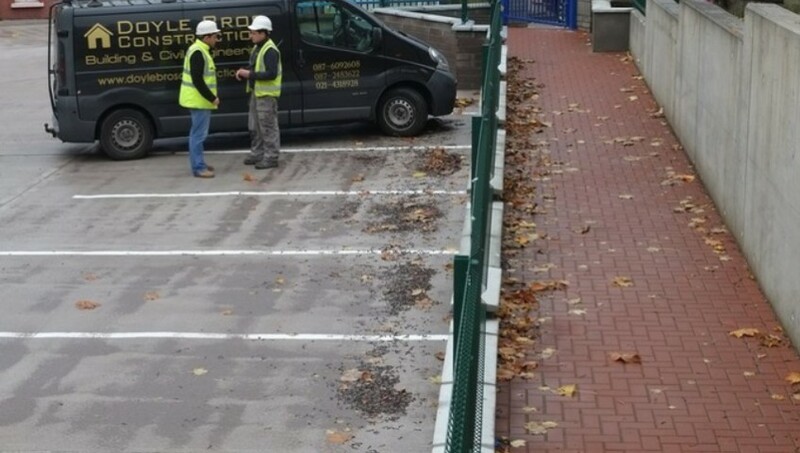 Completed: 28/08/2014 – The North Pres Primary School project consisted of a new access and parking to the main entrance and all associated site works. Roads, paths and preformed paving with precast concrete kerbing through. Shuttered and poured concrete retaining walls. Steel fabricated fencing. Automated gated system and pedestrian access to the front. The consulting engineers were MMOS – Murphy Matson & O Sullivan working alongside Karl Slyne Quantity Surveyors Ltd. The contract duration was strictly two months (July & August) due the school year. Project management was the key factor with this site and our wealth of experience and knowledge within the company ensured the works were completed ahead of schedule.